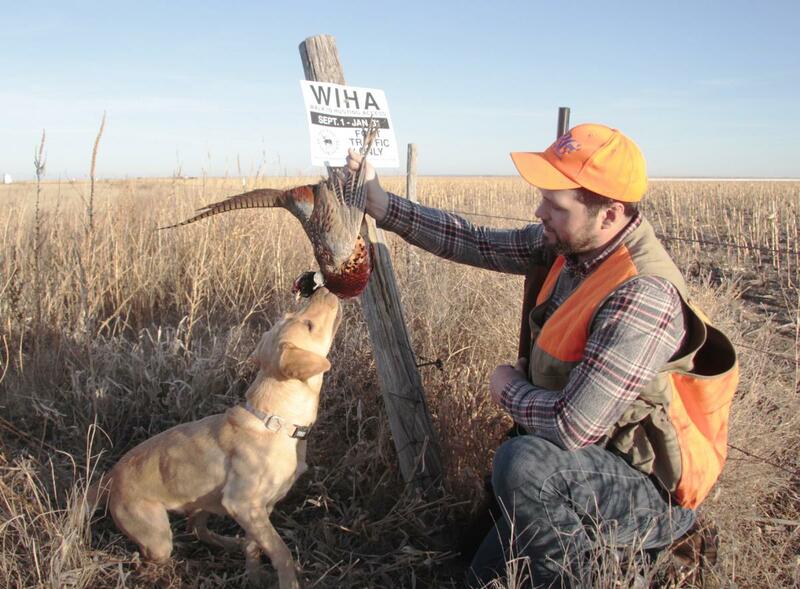 Kansas’ million-plus acre Walk-In Hunting Area program offers the public some great opportunities to hunt pheasants on leased, private lands. 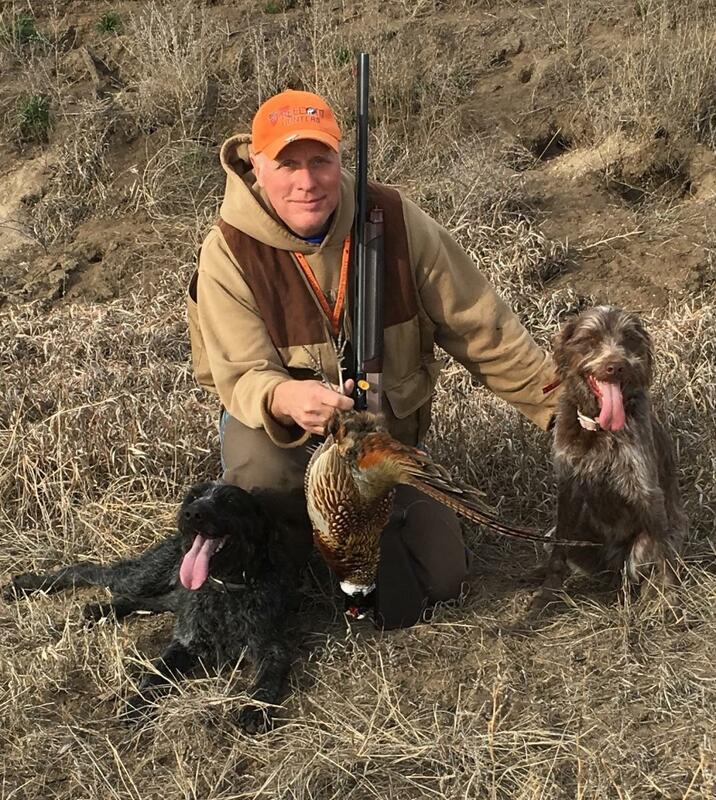 Here’s some great advice from Jim Millensifer, one of Kansas’ most successful pheasant hunters. Even with access to lots of great private land, he spends a lot of time hunting WIHA. Most of Kansas’ WIHA lands in pheasant country are fields of CRP grasses. Millensifer is often more interested in what’s beside those fields. “You about have to have a good food source nearby,” he said. “You can hunt some of the prettiest grassy cover all day and not find many birds if there’s not a grain field or something nearby.” Ideally, he likes to find good grass that borders a field of milo or corn stubble. Pheasants recognize every human-made noise as a sound of danger. Hunters should skip the slammed doors, loud talk and yelling at dogs. Pass on poor odds shots at roosters, like long shots that will probably lead to a miss, or a crippled bird. Such shots let every other pheasant in the field know hunters are coming. Hunting either solo, or with a good buddy or two, Millensifer has better success than those large groups of hunters that try to outnumber the pheasants. The smaller the hunting party, the more quietly they can work a field and the more quickly they can respond when a dog starts scenting birds. In these days of apps that give quick and easy access to satellite photography, hunters can scout WIHA fields from the warmth of their home, during the dark of night. It takes time, of course, but it saves even more time when afield. Hunters can look for those special grassy fields that may border grain fields. Ones that maybe can’t be seen from the road can be especially good. Generally, the harder it is to find and access a WIHA spot, the less it’s been hunted, too. Several years ago a hunter from northern Michigan came to Kansas the week before Christmas with his pair of English setters. He’d studied WIHA fields from home most evenings for several weeks. Some of his targeted fields weren’t within a half-hour or more of the next closest hunting spot. Based out of Dodge City, the man shot limits of roosters the first three days. One limit of four was finished before noon. His last day he went back and focused on coveys of bobwhites he’d seen the previous days. He did well with those, too.